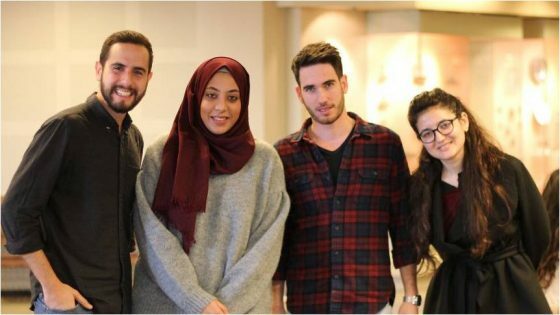 Jews and Arabs at the Hebrew University of Jerusalem: They are fellow students. Can they be friends, too? The university is one of the few places in Jerusalem where Jews and Arabs come in contact. Here they talk about prejudice, false kindness – and what is more important than learning together. [Translated copy] The view over Jerusalem is spectacular. The Hebrew University sits high above the embattled city on Mount Scopus. 20,000 predominantly Jewish students are enrolled here. But there are also about 2600 Arab students with Israeli passports on campus – and an increasing number of Palestinians from East Jerusalem, who, with a degree from the Hebrew University, calculate the best chances on the job market. That Jews and Muslims learn together here is not a matter of course: in everyday life in Jerusalem, both sides often ignore each other to a large extent. “The university is the first and often the last place where Jews and Arabs from Jerusalem actually interact in their lives,” says Rector Barak Medina. And the students? SPIEGEL ONLINE has invited five of them to a panel discussion – it’s about the influence of campus world politics, wrong kindness and fears on the way home.